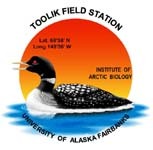 » Extracellular enzyme activities in soils from Arctic LTER moist acidic tundra nutrient addition plots, Toolik Field Station, Alaska, sampled July 2011. In July 2011, soil samples were collected from control, and N+P plots from within a set of treatments in Moist Acidic Tundra plots established in 1989. A set of Control and N+P plots established on an adjacent hillslope in 2006 with both equivalent (high) and half (low) the fertilization rate of the 1989 plots were also sampled. At the time of sample collection we separated the soil into organic horizon, organic/mineral interface, and the upper 5cm of the mineral soil, and measured the depth of each layer. We quantified potential activities of seven hydrolytic enzymes (Table 1) for each sample using fluorometric techniques (Saiya-Cork et al. 2002) modified following Steinweg et al(.2012). We measured the activities of four enzymes hydrolyzing C-rich substrates (BG, CB, XYL and AG), two for N-rich substrates (NAG and LAP) and one for a P-rich substrate (PHOS). Subsamples (1 g for organic and interface soils, and 2.75 g for mineral soils) were homogenized with 91 mL of 50 mM sodium acetate (pH 4.5) using a blender (Waring, New Hartford, CT, USA). Plates with 96 deep-wells were used for the enzyme assay as well as reference standards, in which samples were arranged in columns and different enzymes and standards in rows. Aliquots (800 µL) of each homogenized sample were pipetted into seven wells in one of the 12 columns of a plate using an 8-channel pipetter. When the plate was filled with homogenized samples (up to 12 samples for a plate), 200 µL of each substrate dissolved in DI water was added to each aliquot of sample. Each of the seven substrates was pipetted into wells in a given row (up to 12 wells). The concentration of each substrate was determined based on tests prior to the experiment. We employed 600 µmol·L-1 of CB and PHOS for the organic and interface soils, and 200 µmol·L-1 for the rest of the substrates so that 200 µL of substrate would not be completely degraded by enzymes during an incubation period. After a lid was firmly placed on the plate after substrate addition, the plate was inverted several times to mix soil samples and substrates well, and immediately placed in an incubator. Reference standards were prepared in a similar manner as the soil samples described above using the same apparatus. In the standard plates, we added fluorescent standards, instead of the substrates, in seven concentrations ranging from zero to up to 600 µM. We used two types of fluorescent standards, 7-amino-4-methylcoumarin (MUC) and 4-methylumbelliferone (MUB). MUC standards were used for LAP, and MUB the others (Table 1). We used four different incubation temperatures (5, 15, 25 and 35ºC) to assess the temperature sensitivity of potential enzyme activities in soils. For a set of 12 samples, we set up four plates, each of which was incubated at one of the four temperatures. Four additional plates were prepared as reference standards. Of the four standard plates, two were used for MUC and the other two MUB. One set of MUC and MUB standards were incubated at 5ºC and the other at 25 ºC along with the soils samples. The standard set incubated at 25ºC was used to calculate potential enzyme activities at 15, 25 and 35ºC (Steinweg et al. 2012). Incubation periods were 23, 6, 3 and 1.5 hours for 5, 15, 25 and 35C, respectively. After incubation, the plates were centrifuged at 350 g for three minutes, the supernatant was removed from each well and pipetted into a corresponding well of a 96-well black plate. Fluorescent activities were immediately measured using an Infinite M500 spectrofluorometer (Tecan, Männedorf, Switzerland) with a set of wavelength at 365 and 450 nm for excitation and emission, respectively. Readings of the fluorescent activities from standards were used to calculate potential enzyme activities for each sample. An article including this data set has been published (Koyama et al. 2013). Arrhenius S (1889) Über die Reaktionsgeschwindigkeit bei der Inversion von Rohrzucker durch Säuren. Zeitschrift für physikalische Chemie 4: 226-248. Koyama A, Wallenstein MD, Simpson RT, Moore JC (2013) Carbon-Degrading Enzyme Activities Stimulated by Increased Nutrient Availability in Arctic Tundra Soils. PLoS ONE 8: e77212. Saiya-Cork KR, Sinsabaugh RL, Zak DR (2002) The effects of long term nitrogen deposition on extracellular enzyme activity in an Acer saccharum forest soil. Soil Biol Biochem 34: 1309-1315. Steinweg JM, Dukes JS, Wallenstein MD (2012) Modeling the effects of temperature and moisture on soil enzyme activity: Linking laboratory assays to continuous field data. Soil Biol Biochem 55: 85-92.